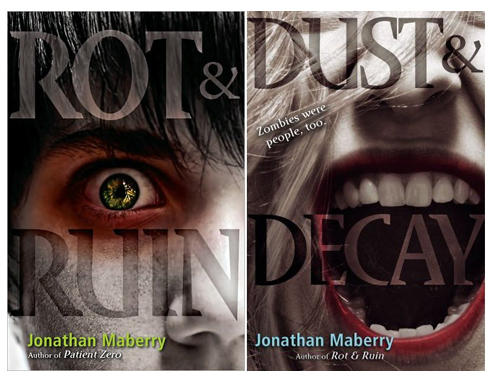 Since his Stoker Award winning first novel Ghost Road Blues, Jonathan Maberry has been one of the most prolific writers of the last 5 years, working on everything from adult novels (the Joe Ledger Series), young adult titles (Rot and Ruin, Dust and Decay), non-fiction titles (Zombie CSU and Wanted: Undead Or Alive, which I was lucky enough to be featured in) and comic books (Marvel Universe Vs The Punisher, Marvel Universe Vs Wolverine, Black Panther). Jonathan’s latest endeavour is his first standalone novel, Dead of Night. It’s also, in my opinion, his best work yet (you can check out our review here). Set in small town called Stebbins County, Dead of Night traces the spread of a manmade disease that turns anybody infected into zombies. In the middle of a brutal storm, two cops, JT and Dez, work to protect the town while reporter Billy Trout uncovers the truth of the zombies, where they came from and what could happen if the virus spreads. A long time friend of the site, Jonathan was kind enough to answer some questions via email about Dead Of Night, his creative process, what he was listening to while working and much more. Andy Burns: Congrats on the release of Dead of Night. I’ve been pretty vocal about my feelings that it’s your best book yet. Could you explain the genesis of the story? Jonathan Maberry: I love Night of the Living Dead and all of the movies that follow the Romero model, including Zack Snyder’s reimagining of Dawn Of The Dead. There are, however, two things none of those movies never really addressed. First, they never take a stand on exactly where the zombie plague came from or how it started; and they never really show it spreading from the absolute first bite. I’ve always wanted to do both, and that’s where Dead of Night was born. Andy Burns: Seeing as how Dead of Night is your first standalone novel, was there a change in how you approached writing this story, as opposed to the Pine Deep trilogy or your Joe Ledger novels or your Young Adult zombie stories? Jonathan Maberry: I actually wrote Dead of Night with the same approach I use for short stories. There was no ‘getting up to speed’ aspect. It starts with action and I get right into the story. I use shifting point of view to tell a bigger story in less time, and that allowed me to go much deeper that was possible through any single character’s experience. I like that feel, and I’ll be going after another standalone sometime soon. Andy Burns: Let’s talk science for a moment. One of the most impressive things about Dead of Night was the use of a scientific explanation as to what is happening to the citizens of Stebbins County. It all seems so horribly possible. What sort of research methods did you undertake to come up with the virus in question? Jonathan Maberry: I do a hell of a lot of research. I researched parasites of all kinds, because there are parasites right now who attack insects and other creatures and completely rewire their behavioral patterns in a way that eerily mimics the way a zombie plague works. Mindlessness, cannibalism, aggression. So…I took that and expanded on it. At the same time I did a lot of research into Cold War bioweapons science. I’d gotten interested in that while researching the backstory for a miniseries I was writing for Marvel Comics, Marvel Universe vs The Punisher. Those two areas of research collided nicely to form the backstory for Dead of Night. As with all of my projects, as I do research I reach out to the top experts in each field. One guy I spoke to was Carl Zimmer, author of the brilliant (and chilling) nonfiction book, Parasite Rex. I’ll be interviewing Carl for my blog soon. Andy Burns: You’ve written a few zombie novels now – what are the hardest parts of bringing monsters that for years really only existed in the movies to the written word? Jonathan Maberry: There’s no end to the ways in which you can tweak a storytelling model. Zombies are amazingly elastic as a trope. Look at the variety in the genre now. Shaun Of The Dead, Fido and Zombieland are all zombie comedies, and they’re each completely different. As are comics like The Walking Dead and Marvel Zombies. For my own work, I’ve shifted around to find new ways to have fun with the genre. I started off with a nonfiction book, Zombie CSU: The Forensics Of The Living Dead, then I did a comedy short story, “Pegleg and Paddy Save the World”, then I went to mainstream thriller for Patient Zero, into comics with Marvel Zombies Return, then swung around completely and did a young adult novel, Rot & Ruin. These books aren’t even on the same shelves as each other in bookstores. The zombie genre is a well with no bottom. Andy Burns: When you’re working on a novel like Dead of Night, do you have any sort of self-imposed rules that you follow in the creative process? Jonathan Maberry: I have a lot of rules to keep my creative process flowing. I write every day, usually eight to ten hours Monday through Friday, less on weekends. I don’t rewrite until a first draft is finished. I’m not temperamental, so I can sit right down and write. I take my craft very seriously, but I don’t take myself all that seriously. I’m a pop culture geek. My office is a shrine to geekdom. I have all sorts of oddball stuff in there, and it all inspires me. I have an actual cat skull, a bottle of Holy Water, steampunk robots, a wind-up King Kong, a remote controlled walking zombie, super hero action figures, a talking Wolfman who cracks bad jokes, and lots of other stuff. During the writing process, I budget my time so that I do ten minutes of social media every hour (regulated with an egg timer! ), and I don’t play video games or cruise through the videos on YouTube. When I’m sitting down to write, that’s my job. I write. Andy Burns: Another great thing about Dead of Night is the emphasis you make on character development, even for the characters that may be zombie meat in a few pages, you manage to give them enough personality and depth that when the inevitable occurs, the reader feels it. Why was that character development so important for you to include in Dead of Night? Jonathan Maberry: All good stories are about people. It’s fair to say that all true fiction is about giving good people a bad day. If we don’t accept the people as real, if they don’t become real to us, why would we care whether they escape a zombie, shoot one, or get eaten? If the writer doesn’t find a way to make them into real people, then characters are words on a page and who cares? Andy Burns: Without giving any spoilers, when you finished writing Dead of Night, was there any thought that you could one day return to visit with some of these characters again? Or is it really one and done? Jonathan Maberry: Dead of Night was written as a stand-alone, but I left it open for more stories. I may do another novel somewhere down the road, but in the short term I just wrote a short story for the anthology, 21st Century Dead (edited by Christopher Golden for St. Martin’s Griffin, 2012) that’s set in the same world. It’s not a sequel so much as a separate story that takes place during the same time. I have several other stories set in and around that world that I’ll probably write. There’s been a tremendous amount of requests for sequels, so that’s not off the table. Andy Burns: When we’ve talked previously, I’ve asked you what you listen to when you’re writing. On that note, what was the soundtrack to the creation of Dead of Night? Jonathan Maberry: That was a weird mix because I started writing it around Christmas, so I had all sorts of holiday tunes on my iPod, ranging from Roger Whittaker and Annie Lennox to the Pogues. Then I shifted gears into a very eclectic mix that included Tom Waits (middle career stuff from Rain Dogs and Swordfishtrombone), some really old Merle Haggard and Johnny Cash; a couple of Grateful Dead albums (American Beauty and In The Dark), Pink Floyd (Atom Heart Mother and Wish You Were Here), Suzanne Vega’s Songs In Red and Grey, some Stan Rogers sea songs, and Don Henley’s End Of The Innocence. And a few random cuts from my ‘Proletariat Playlist’: Springsteen (Ghost of Tom Joad, Youngstown), Billy Joel (Allentown, Good Night Saigon), John Mellencamp (Rain on the Scarecrow), Peter Paul and Mary (500 Miles), Paul Revere and the Raiders (Indian Reservation), Kris Kristofferson (Best of All Possible Worlds), and the Beatles (Paperback Writer). Andy Burns: What do you have coming up next? Jonathan Maberry: Geez. I have a new short story in The Monsters Corner and an essay in Triumph Of The Walking Dead, which is a collection of articles about the comic and TV show. 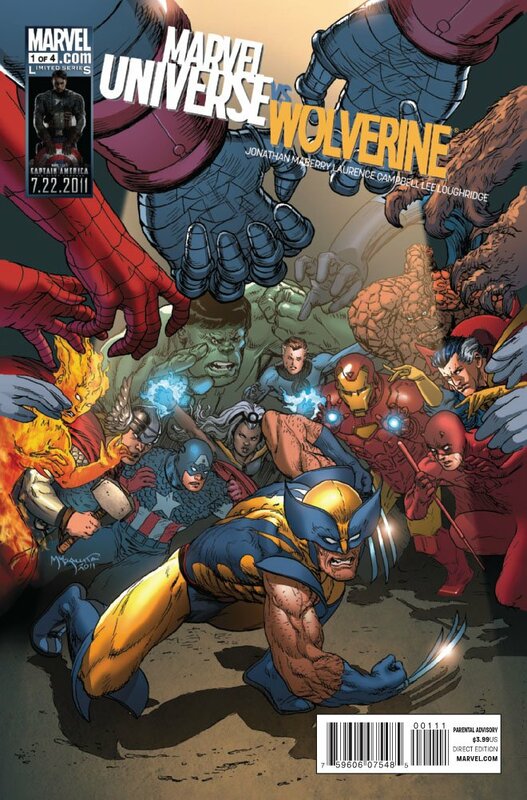 Last week Marvel released the hardcover of Marvel Universe Vs Wolverine, and I’ll be writing a sequel to that for next year. I have all sorts of short stories including a John Carter of Mars anthology (Under The Moons Of Mars, Simon & Schuster, 2012), a demon fantasy piece for Charlaine Harris’ Apple For The Creature, and a bunch of others. I have two novels coming out in 2012, Assassin’s Code – the 4th Joe Ledger thriller, due out in April; and Flesh & Bone, the 3rd in the Rot & Ruin series due out in August. And I’m editing V-Wars, a shared-world vampire anthology that IDW will put out in April. And…there’s some other stuff in the pipeline. And on Dec 6, the History Channel will release the DVD of the special, Zombies: A Living History for which I was an expert. Crazy times, but I dig the fastlane. Andy Burns: And finally, is there anything you’ve been reading lately that Biff Bam Pop readers should be checking out? Jonathan Maberry: I’m currently reading Shock Wave by John Sandford, and on my to be read pile is a weird mix of old and new stuff, including The Deputy by Victor Gischler, Mysterious Island by Jules Verne, When She Woke by Hillary Jordan, the complete Secret Avengers comic book series by Jonathan Hickman, and the Mystery Men miniseries by David Liss. Thanks to Jonathan Maberry for his time and his longtime support of Biff Bam Pop! 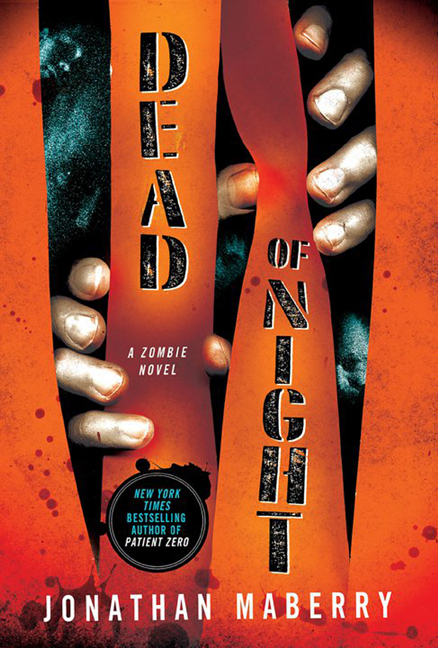 You can order Dead of Night from Amazon here, and keep up to date with everything Maberry at Jonathan Maberry’s Big, Scary Blog.